Sing has all the ingredients to be a great animated movie but just lacks some magic and manages to fall into familiar traps. 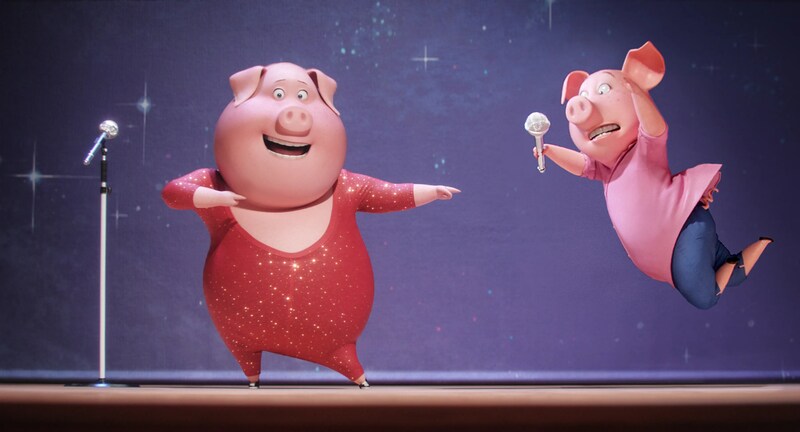 It is a shame because it has the key elements needed, from a simple but engaging plot, a host of great characters, able and familiar voice cast and best of all for a movie called Sing, a perfect use of music. That is the first of many elements which will grab you. The soundtrack is great and very diverse. It has some pop songs, some swing and jazz, even a little bit of rock and an original song for one character which is actually very good. There doesn’t feel like a moment music doesn’t feature but apart from the set-pieces and big musical numbers, it is never too imposing and seems to change all the time. It helps that it also has a large cast. This isn’t a film following two key characters as they interact sporadically and quickly with a range of supporting cast. This has a core set of characters who each have their own story, their own distinct personalities and manage to keep the film running along at a pace which doesn’t go stale. It also means that you’ll soon find yourself invested in Matthew McConaughey’s Koala Buster and his failing theatre, the young Gorilla played by Taron Egerton who is trapped in the “family business” or the equally as trapped Pig Rosita played by Reese Witherspoon. There are so many more characters too, each with their own key moments and most importantly of all, their own songs. Each character also seems to bring something funny to the movie. There are some great comedy set-pieces and you are never too far away from a decent laugh. Watching Buster’s unique way to wash cars or Rosita dance around a supermarket is great and will raise a smile. It never beats the montage of animal auditions though, which again feature some great songs but also some impressive visual gags, like a snail singing “Ride like the Wind” or three rabbits singing Nicki Minaj’s Anaconda. These are all entertaining points but you are also never too far away from an animated film cliché. 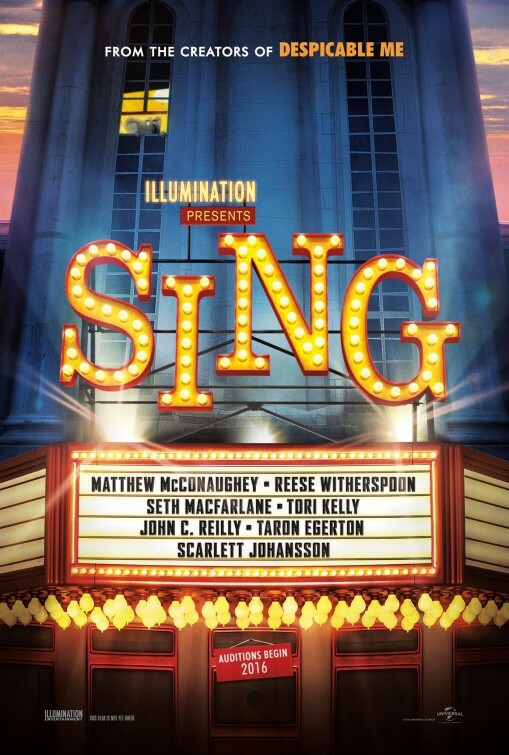 It won’t take even the most casual of viewer to work out where the story is going and although there is a great mid-point twist, it is easily rectified and the film goes back to being a generic movie about singing. This is almost made-up for in the final act though, when the characters come together to show their final musical moments. By this point, the basic and quite generic plot won’t matter and you’ll be tapping along with everyone else as the music plays. Overall, Sing has a lot of potential and begins to deliver on this, with a great cast, some interesting characters, very funny moments and best of all a very effective use of music. Unfortunately, the plot becomes both predictable and generic, undoing some of the great work that has gone into the movie.